It’s that time of year again in Florida, hot and muggy. This makes it ripe feeding season for aphids. 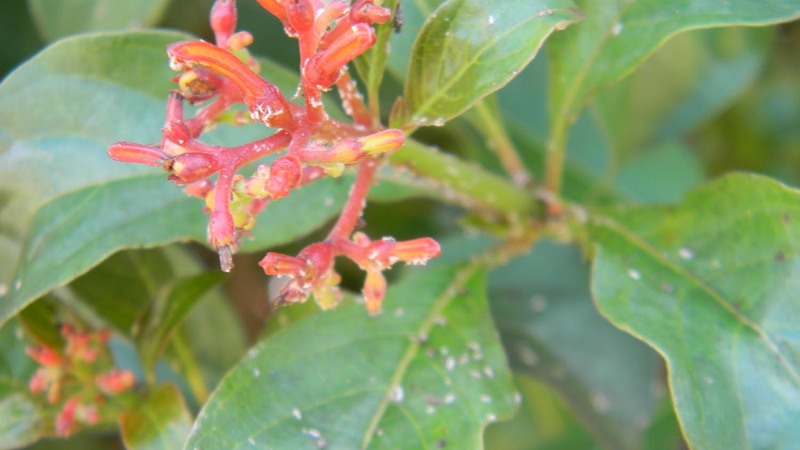 Every year my Firebush is covered with aphids and that means I can also find an abundance of ladybug larvae. 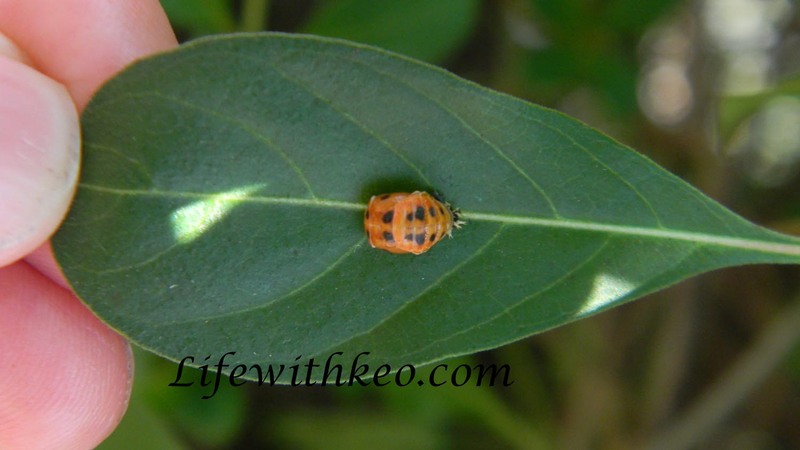 Ladybugs go through several instar cycles, egg, larval (which is the picture above), pupa (the picture below), and adult. Adults live anywhere from 10 months to a year and hibernate during the winter months. They will hibernate in dead leaves, rocks, dead plants, mulch and sometime house siding. I have everything around my house except rock. Once the ladybugs come out of hibernation they are ready to mate, lay eggs and have their offspring eat all those aphids. Isn’t it amazing how Yehovah’s timing is just perfect! 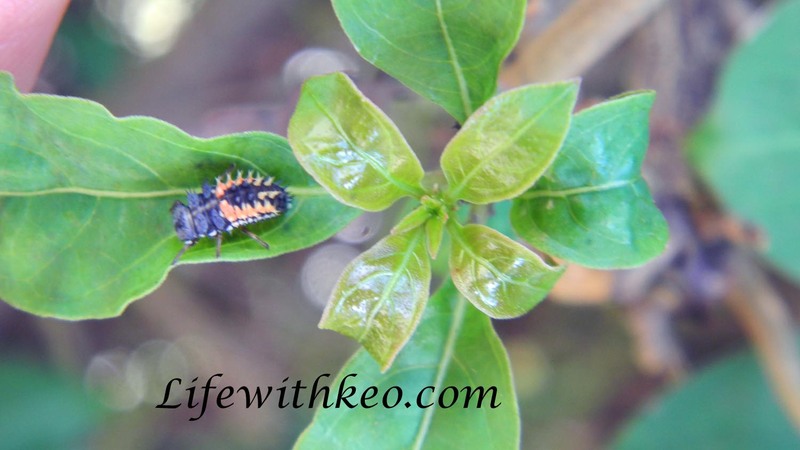 This entry was posted in Ladybug larvae, Ladybugs, Photography and tagged ladybug larvae, ladybugs. Bookmark the permalink. Follow Blog via Email. Enter your email and press Follow.